Mark Engler's View From America. Forget Ben & Jerry’s – Vermont has Bernie Sanders. The US Congress should pass a tax on financial speculation and use the $180 billion it is projected to draw from Wall Street by 2023 to make college free for all students seeking higher education. The federal government should amend the Constitution to outlaw the corporate purchasing of democracy by billionaires such as the Koch brothers, who have announced that they will lead an effort by wealthy conservatives to spend $889 million on the 2016 election cycle. Lawmakers should adjust the federal minimum wage, currently set at $7.25 per hour, up to $15. The US should stake its claim to civilization by implementing a truly universal and publicly funded healthcare system. All of these proposals fall far outside the realm of the possible in current US politics. And they all happen to be good ideas. Furthermore, they are all planks in the platform of one candidate for the Democratic nomination for president: Vermont Senator Bernie Sanders. Vermont is a small state in New England, best known for being home to Green Mountain ski bums, weed-smoking organic farmers and Ben&Jerry’s ice cream. 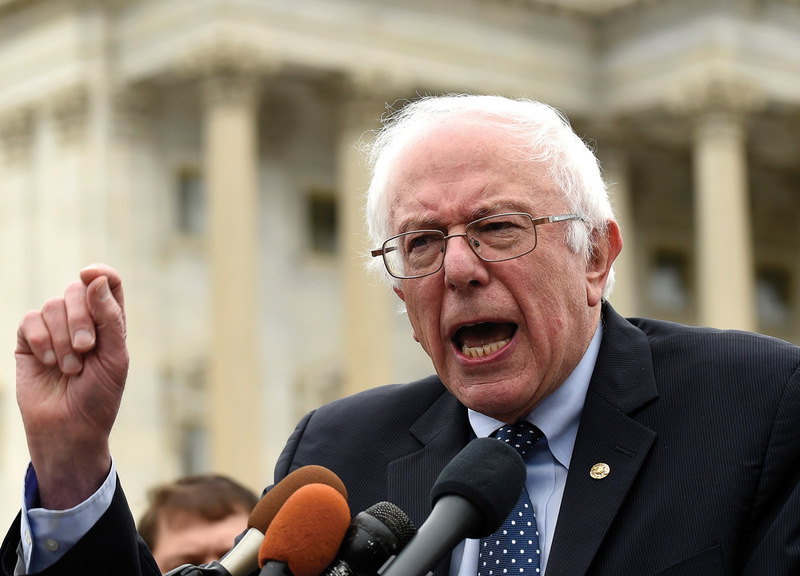 Sanders identifies as a democratic socialist and normally campaigns for office as an independent. In the US, these two things will typically not get you elected town dogcatcher, much less win you a seat in the Senate. But Vermont has proudly sent Sanders to Washington for the past 24 years. Although he has scant prospect of besting Hillary Clinton, Sanders has nevertheless emerged as her most compelling challenger in the Democratic nomination for President. When they do pose a threat, they have risked playing the role of the ‘spoiler’. In 2000, this title was pinned on Green Party candidate Ralph Nader, who was seen as siphoning crucial votes away from Al Gore in a historically close contest in Florida. It’s debatable whether Nader really deserves the blame for George W Bush’s win – especially considering that the number of votes Bush received from Florida’s registered Democrats alone was twice Nader’s total tally in the state. Still, the Green Party has failed to establish itself as any sort of formidable organization in the years since, casting doubt on whether it was truly ready to be taken seriously. There are several reasons why the Sanders campaign is different. First, he’s running in the Democratic primary, so the spoiler charge does not apply. Second, with Hillary as the overwhelming favourite, the Democratic field is sorely in need of a candidate who actually believes in something. If there is a positive side to the Clintons’ rank political opportunism, it’s that their cravenness makes them unusually susceptible to a challenge from the left. Hillary will say anything she must to avoid being embarrassingly upstaged in the primary debates. And this could mean she has to steal an idea or two from the Vermonter socialist. If that happens, she will at least have a couple of newfound proposals that are worth fighting for. And social movements can work hard to make it uncomfortable for her to disown them later. Like it or not, presidential races are one of the few entry points into political discussion for a large number of Americans. In this context, the positions voiced by Democratic and Republican hopefuls become the boundaries of permissible political debate in the country. Mark Engler’s new book This Is An Uprising: How Nonviolent Revolt Is Shaping the Twenty-first Century will be released in 2016. He can be reached via the website DemocracyUprising.com.